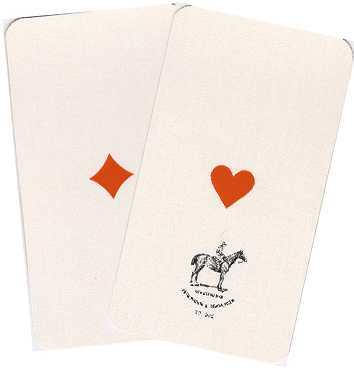 This is true only for the Anglo-American pack; aces on standard European cards, if they are present at all, are generally the same size in each suit. 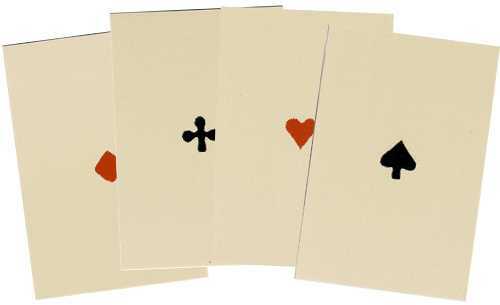 Often they consists of just the plain pip placed in the middle of the card, or with a minimal amount of decoration around each. 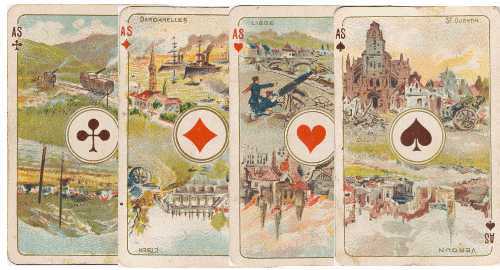 However, there is a tradition of pictorial aces (views of two landscapes, one at each end) which began in Belgium. The Anglo-American pack evolved from the English pack with its Duty ace. 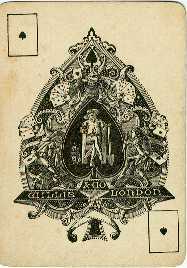 Playing-cards were seen by the Kings and Queens of England as a ready source of revenue, particularly when there were wars to be paid for. So the makers, and later the purchasers, paid a tax on each pack. Instances are recorded of taxes being raised in 1588, 1628, during Queen Anne's reign, and from 1711 onwards, until the tax was finally abolished in 1960 since by then it was more trouble to collect than it was worth. 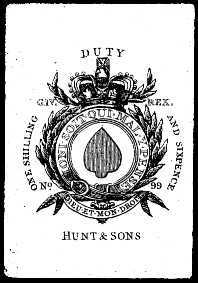 Until 1828, the basic duty was always exacted on the wrappings of the pack, but a hand stamp was put on one card to show that duty had been paid even after the wrapper had been torn off and discarded. This stamp never carried the duty. 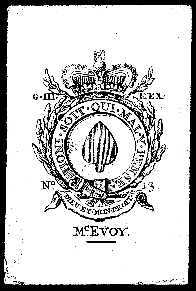 Initially, from 1712 until about 1718, the stamp was placed on any card, but thereafter the ace of spades was used (probably because it was the card on the top). 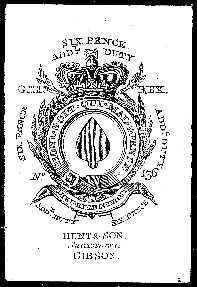 The ace of spades of the English pattern bore no other printed decoration than the plain pip until 1765, when it was printed by the tax office with a design showing that tax had been paid (but exacted on stamps on the wrapping). 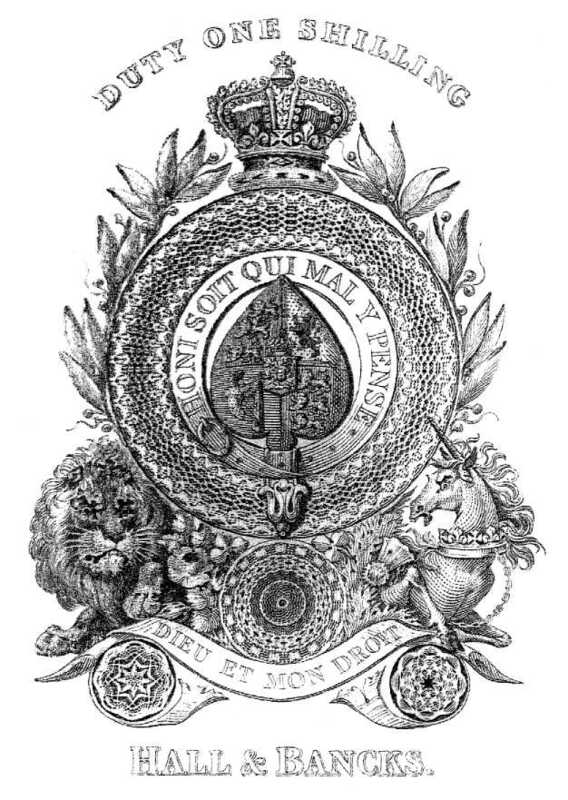 This official design is the forerunner of the decorative designs used by individual makers after 1862. The maker was not allowed to make his own ace of spades—to forge an ace was a capital offence, nevertheless forged aces are found in private collections and in museums. The evasion of taxes in England became a problem as the tax increased out of all proportion to the basic retail price of an untaxed pack. Even at the initial rate of sixpence, this was twelve times the price of the cheapest cards produced, or one-and-a-half times that of the best. 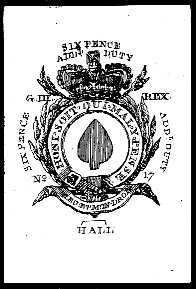 In 1828, in order to defeat the widespread evasion of paying the duty, now at two shillings and sixpence (30 pence), the duty was reduced to one shilling (12 pence) and charged on officially printed aces of spades with an even more intricate design and carrying the maker's name. 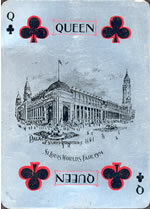 The aces and card wrappers required were printed by Perkins Bacon on behalf of the Commissioners of Stamps. 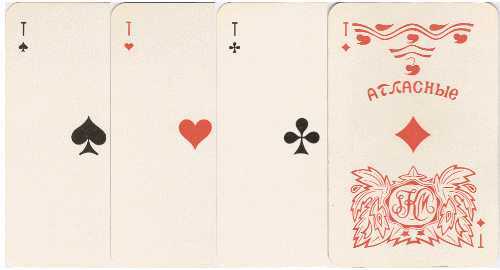 This ace was known as 'Old Frizzle' and looked like something taken from a banknote. It was very fancy indeed, with loads more foliage than the first design plus a lion and a unicorn. 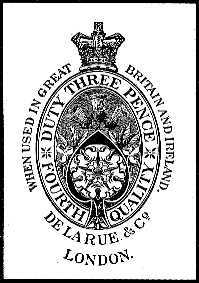 In 1862, the duty was reduced to three pence and charged on officially printed tax wrappers. 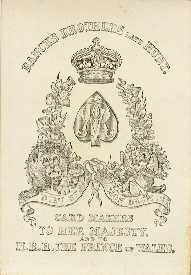 The makers were then free to produce their own designs for the aces of spades and continued the custom of displaying their name on it. Tax wrappers and duty were abolished in England in 1960. 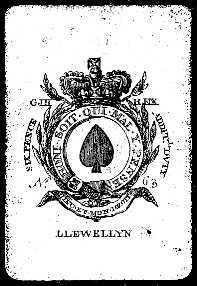 All patterns based on the English pattern, such as the Anglo-American pattern, have retained the custom of producing an ornate ace of spades, even though it is no longer required. The following table is taken from the International Playing-card Society monograph Taxation on Playing-Cards in England From 1711 to 1960, available from the the International Playing-card Society. 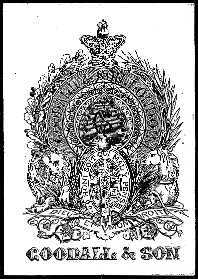 9 Anne c.23 means chapter 23 of the legislation enacted in the 9th regnal year of Queen Anne, 3 Geo I c.7 means chapter 7 of the legislation enacted in the 3rd regnal year of King George I, etc. * denotes date of Royal Assent. [ ] indicates action by Stamp Office.